There are a lot of fun days to celebrate this month: The Kentucky Derby, Mother’s Day and Memorial Day, but one of my all time favorites is Cinco di Mayo!!! I’m sure it’s a Texas-thing. Tex-Mex is hands down my favorite food category. Give me a a basket of chips and guacamole and a fresh made margarita (on the rocks with salt, please), and I am a happy gal! 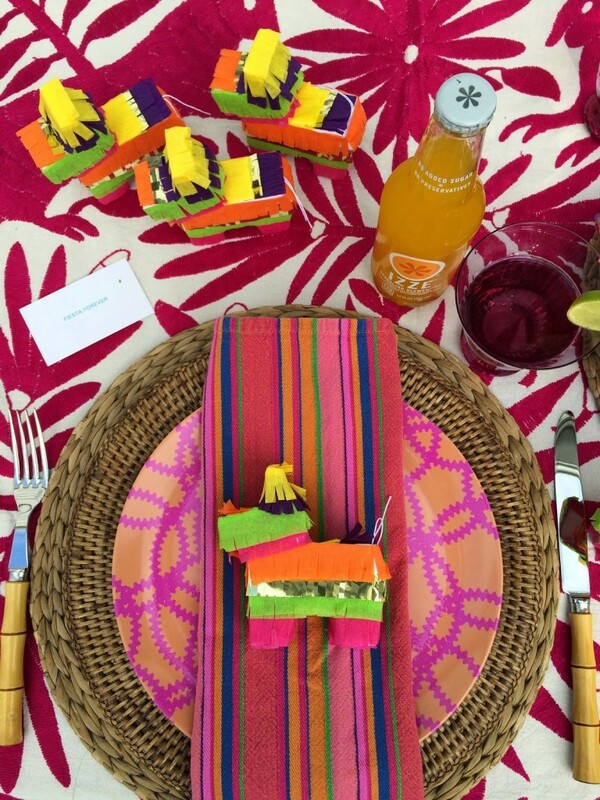 I’ve been playing around with table settings for a casual celebration and had to share my new source for custom, mini piñatas! 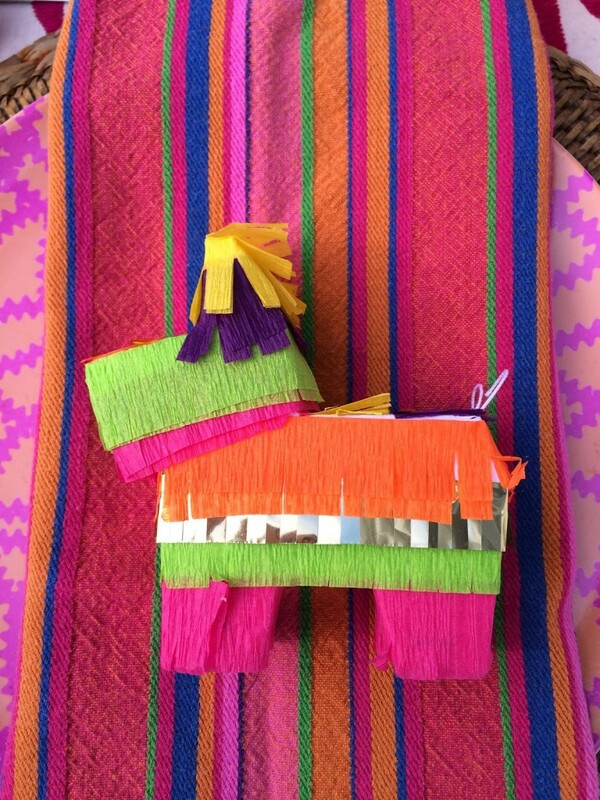 Lula Flora will let you select as many tissue colors + 1 metallic color for your custom piñata! I chose hot pink, lime green, orange, purple, yellow and gold metallic. These are very well made, with a hidden opening for candy or small treats. 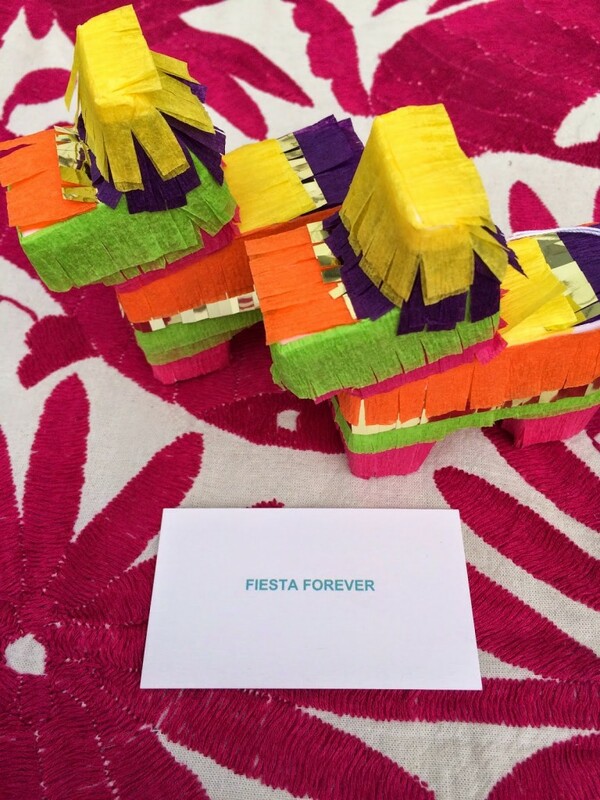 I’m not sure I have the heart to rip these apart, as they make for such a cute party favor or place card for a fiesta any time! 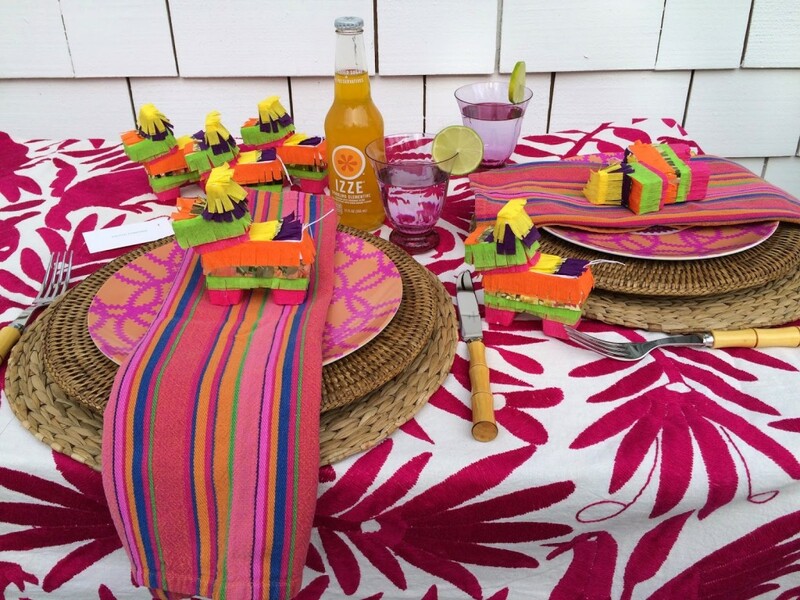 Wishing you mucho fun this weekend! Whether you’re watching the Derby with mint juleps or sitting on the sidelines of your child’s sporting events! 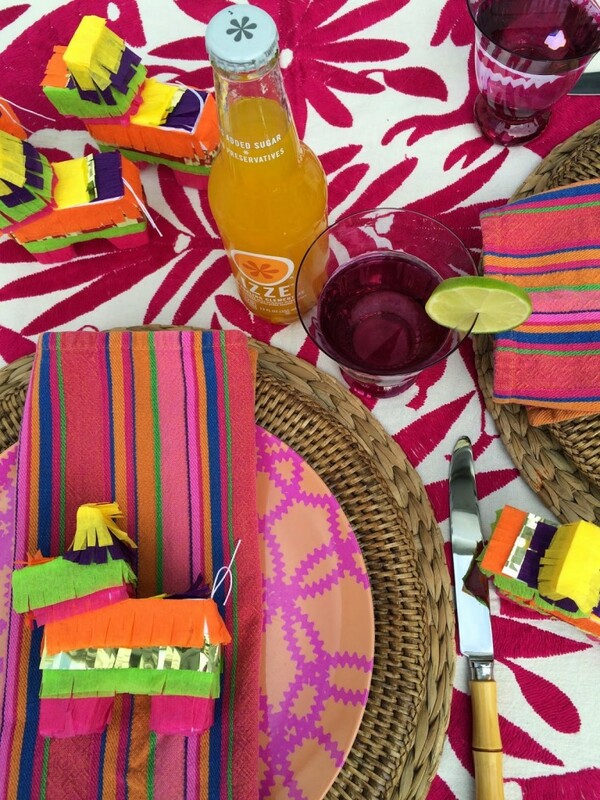 Life is the fiesta!! Make yours full of color!! 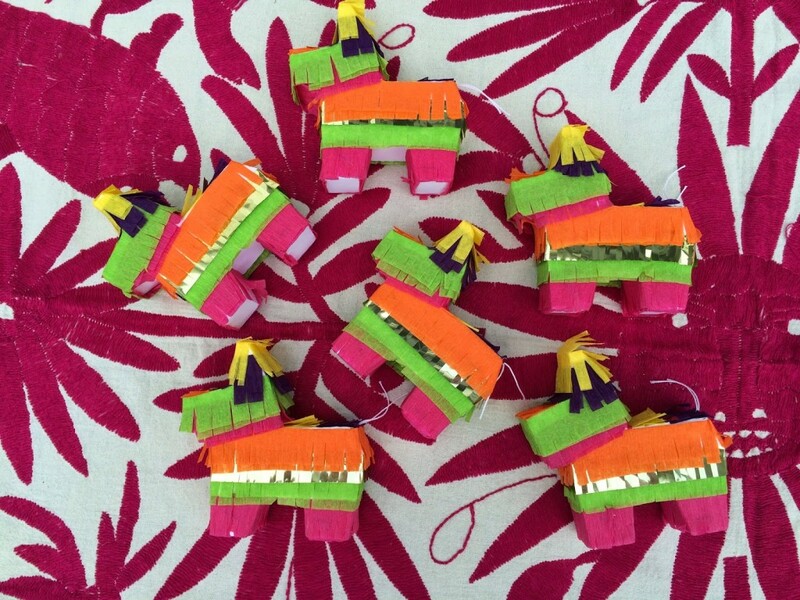 Those mini pinatas are the cutest and make me seriously want to host a party! 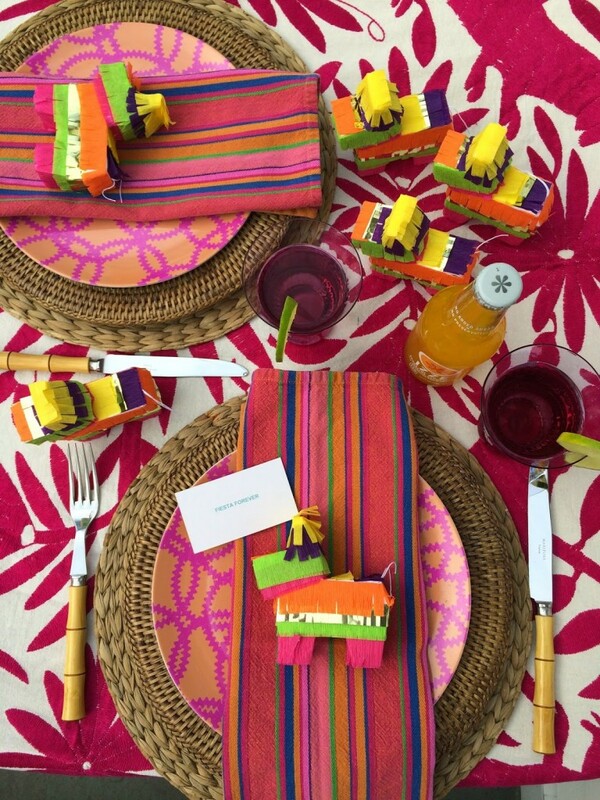 What a fun excuse:) Love the table setting, so vivid and happy…perfect for Cinco de Mayo and we could great dining partners, I think I could live on salsa, guac, nachos polished off with a nice salty margarita- cheers! Too cute to be real!! Love this! Elizabeth, May is huge for our family with 6 birthdays between family and sister-in-laws etc, Mother's day, and yes May Day and Cinco de Mayo and Derby Day. Love Lulu's creativity!! !